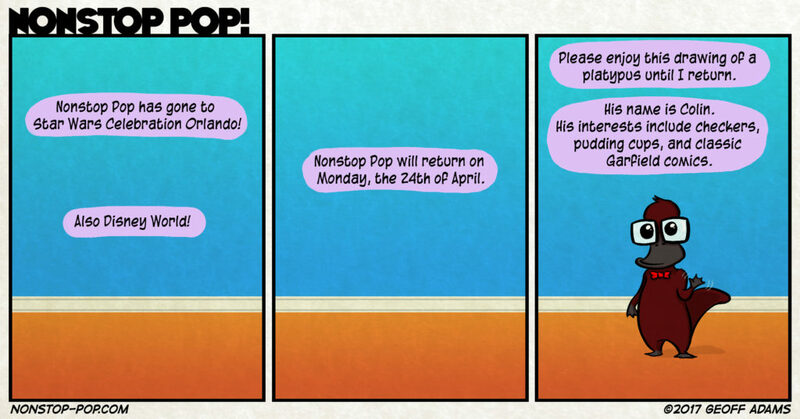 NSP 207 – Vacation HO – Nonstop Pop! 2017-04-10 I am off to sunny Florida for Star Wars Celebration and Disney World! Try not to miss me too much. Hopefully I will return with renewed vigor.